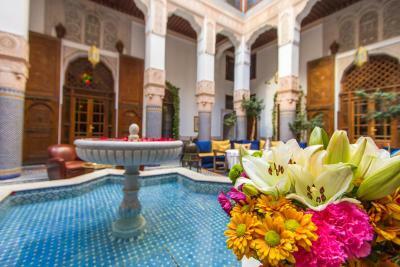 Lock in a great price for Riad Myra – rated 9.2 by recent guests! The staff were absolutely fabulous! They went above and beyond my expectations. The suite was amazing. I will definitely stay again and will send all my friends and family. Staff was excellent - very kind & attentive. 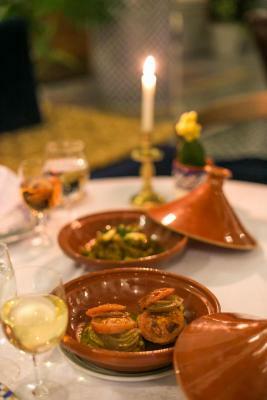 Food was the best we had on our 10 day Morocco visit. Also did a hamam at Road Myrna and it was amazing. 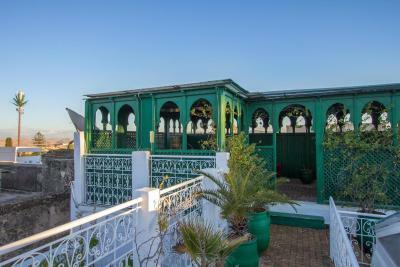 This is a fantastic property, in a great location and very easy to get to from where a car drops you off. Great staff and brekkie. Could not stop photographing it. 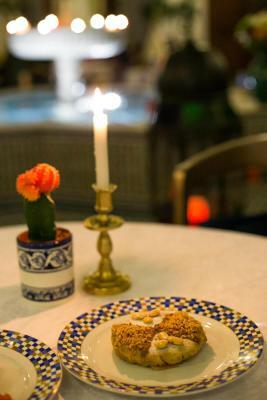 Beautiful, cosy place with friendly staff and lots of beautiful spots for photos. 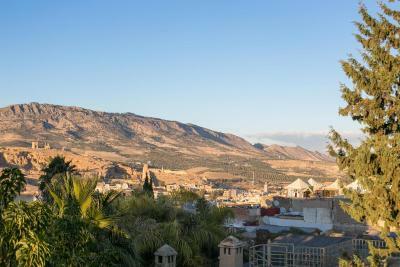 Great location too, as it is close to the main roads for transportation access but still right in the old Médina. 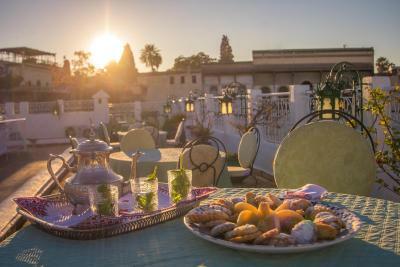 We really enjoyed the breakfast spread as the hotel made the effort to vary the food on a daily basis. Presentation was excellent too. 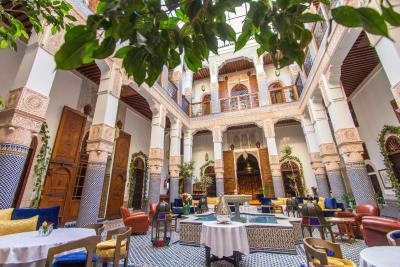 Our early check in was smooth, room prepared quickly and a cup of tea while waiting in the beautiful courtyard typical of the old homes of Fez now hotels. Excellent breakfast incl eggs, limited but well-prepared evening meal with wine. Staff competent and friendly. Overall, a good Fez experience at a fair price. 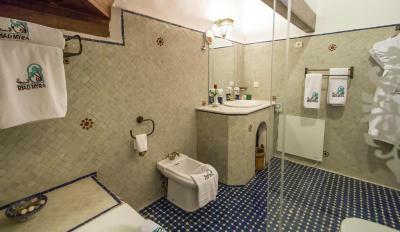 The location is good, just a few minutes walk to the old Médina. Though it’s located in the little street, their staff came out to the main street to pick us up. It’s easy to get a taxi to the CTM Station too. 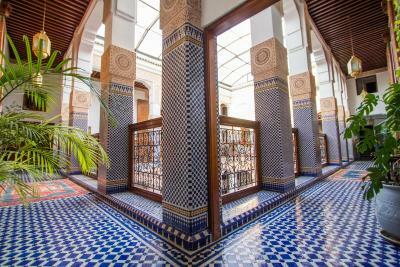 The building is absolutely fantastic with Moroccan features. 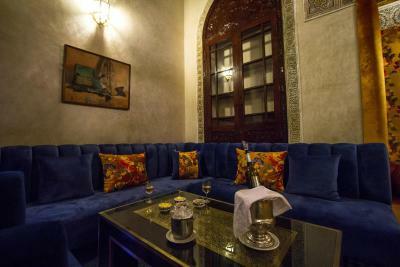 Absolutely dazzling riad in a very good part of town, inside the medina, but reachable by car or taxi. Staff was very friendly and solicitous from beginning to end. I would certainly come again. It was beautiful, clean, with very friendly staff. 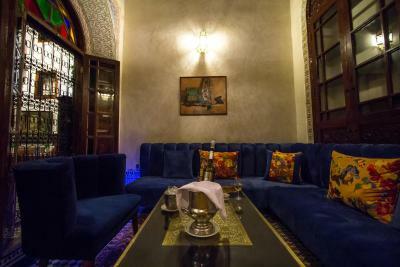 Beautiful Riad in a nice location, easy to walk around and get into the heart of the Fès Médina. The breakfast was excellent! The staff was super helpful and accommodating. The room was big and nicely decorated. 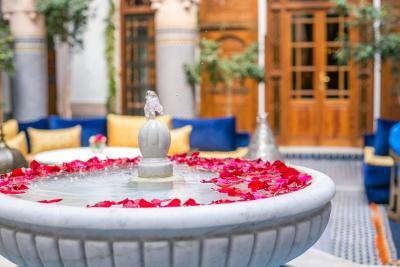 One of our top picks in Fez.Ideally located in Fez, in the heart of the Medina, close to the French Institute, the guest house welcomes you in a cozy atmosphere. 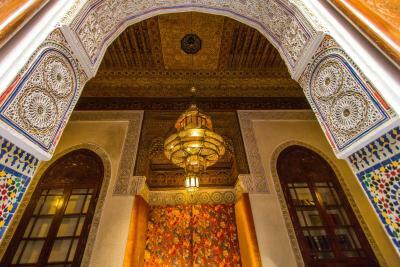 Built in the early 1900, the Riad Myra has been renovated and restored by the best craftsmen in the town. 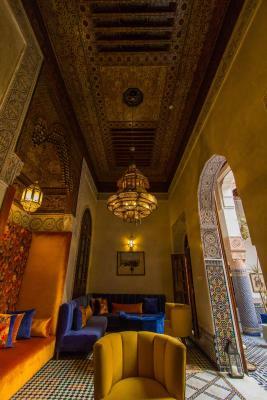 The splendor is evident in its elegant and beautifully decorated rooms and suites. 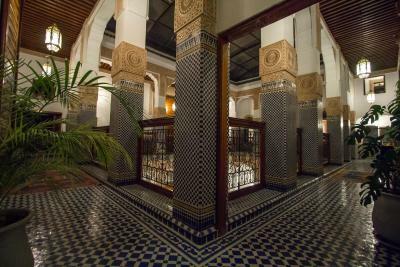 The original Moorish architecture style, a touch of English antique furniture and modern amenities are perfectly matched. 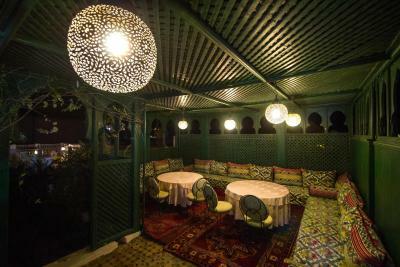 The Riad features a large traditional patio, a terrace, a hammam as well as a restaurant and a Moroccan lounge. 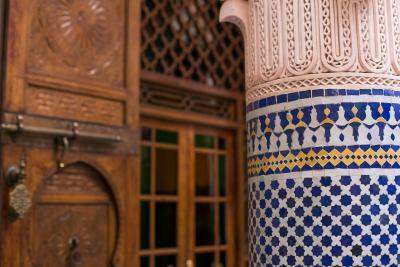 The attentive staff welcomes you in a refined décor mixed with Moorish architecture. 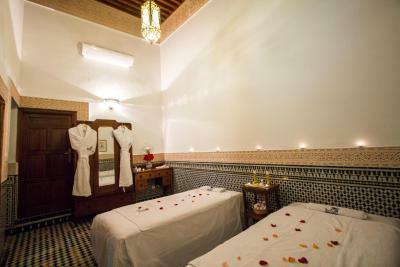 All has been designed to offer comfort, well-being and relaxation. 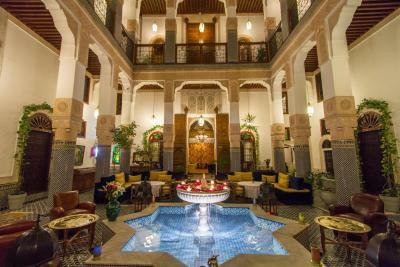 When would you like to stay at Riad Myra? 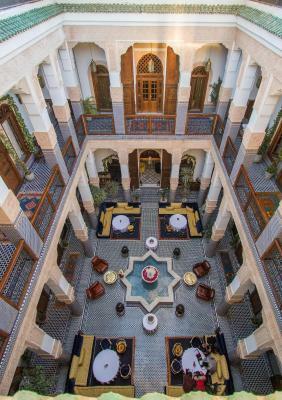 This is the largest suite in the Riad. 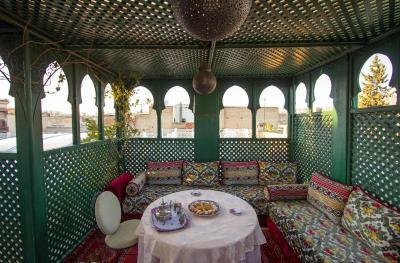 It features a four-poster, cedar bed, a characteristic Moroccan living room, and a mini-bar. Private parking is available at a location nearby (reservation is not needed) and costs EUR 2.50 per day. 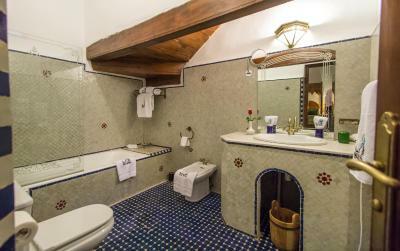 This twin/double room features air conditioning, patio and mini-bar. 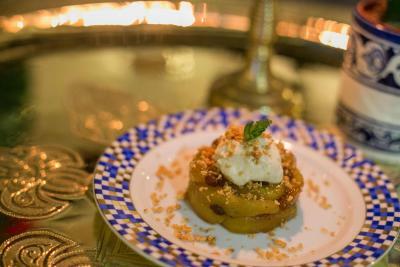 House Rules Riad Myra takes special requests – add in the next step! 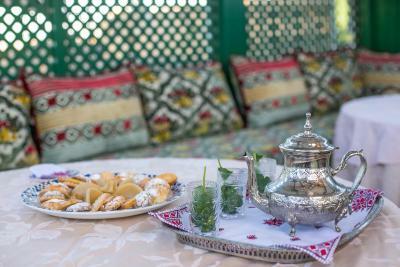 Riad Myra accepts these cards and reserves the right to temporarily hold an amount prior to arrival. 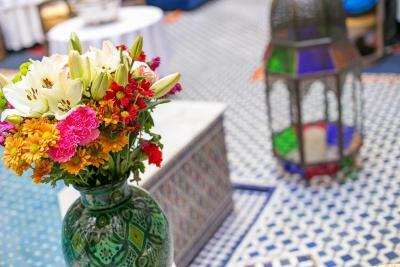 Please inform Riad Myra of your expected arrival time in advance. You can use the Special Requests box when booking, or contact the property directly using the contact details in your confirmation. At "rush hour" the water wasn't hot. Superb riad, in the medina but close to a parking spot. The staff was very friendly. 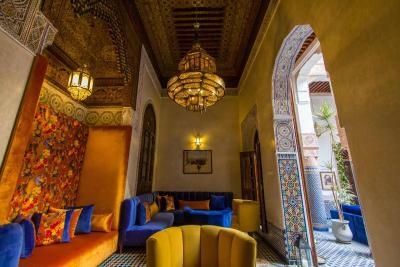 The riad itself is beautiful. Nice, nice and nice!! Abraham provide the best service for our stay, thanks him very much! 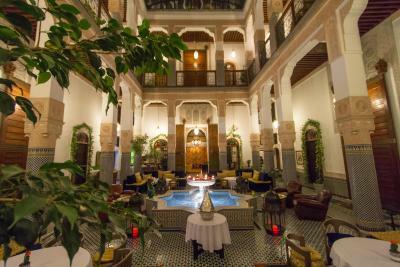 This hotel is the best one in FEZ. 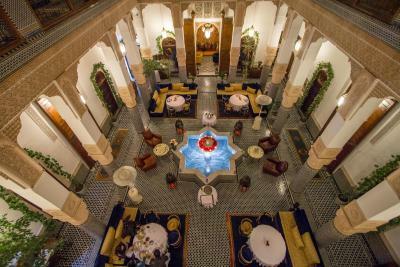 My mum and I had the fortune to spend our holidays in Ryad Myra. We really love travelling but we've never had a welcome like this. 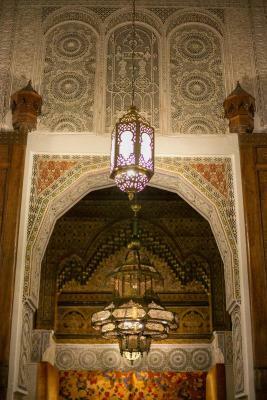 The first evening Mr Ibrahim welcomed us with such a kindness and his staff as well. They really do their best to make you feeling home. 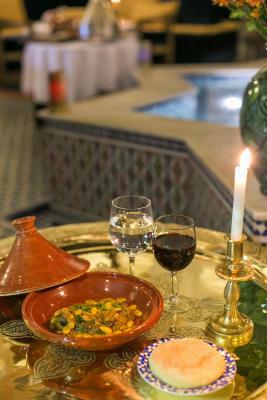 We had our dinner in the Ryad every evening and every time seemed better than the last. Such a good breakfast and a very good and traditional dinner. Everything was so clean and well cared for in any detail. We really thank the all family and we're sure we'll come back again!!!! Nerina and Chiara from Italy. Staffs were very friendly, the raid has gorgeous design. Food was amazing. The location was great. The staff at the hotel was wonderful from the moment we arrived till we left, always smiling and assisting with everything- the perfect hosts. 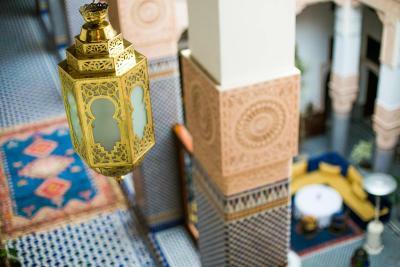 The Riad is absolutely beautiful and well maintained. The rooms are very clean. Breakfast was delicious and we were even given an early breakfast because we had an early train. 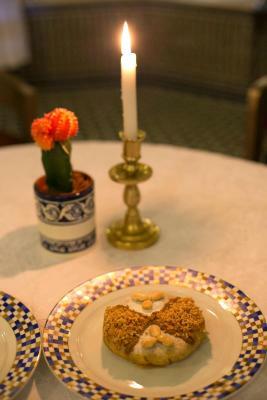 A must in Fez! At first, hotel staff is awesome! Friendly and helpful. Always smiling. Mr. Ibrahim, Mr. Abdur, they are very nice. Location are superb. Room is large. Hotel is gorgeous, beautifully decorated. Nothing to complain. Very helpful and friendly staff. 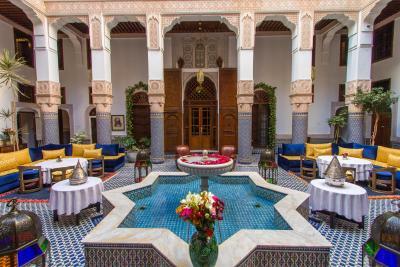 The hotel manager arranged a private transfer for us to Chefchaouen, which was also excellent as the guide spoke English and told us about the local history. 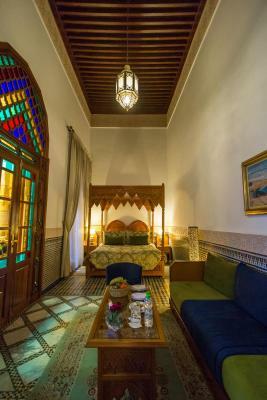 Would high recommend this beautiful Riad. I could just provide few points for improvement: 1. The room door was not closing well and we had to push it. 2. 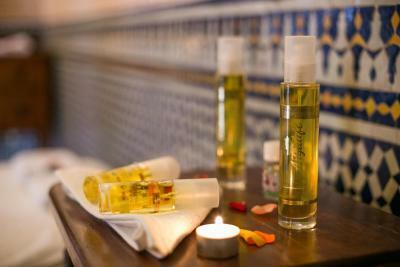 We didn't receive all the information regards prives for thexample spa, etc.. until the last day we left. Hot showers were not satisfactory. I didn’t turn on the cold water input on the mixer and the hot water was just mostly lukewarm even after a long wait. 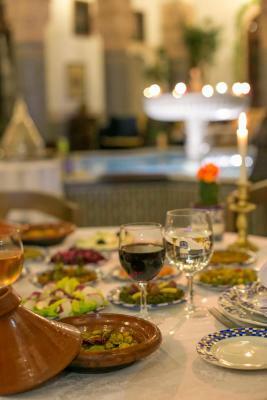 Staff were also not consistent with availability of dinner on our first night. 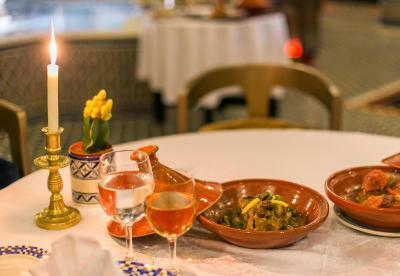 One told us confidently that there was no more dinner at around 815pm on a rainy day but half an hour later we were served a rather large spread of food after a bad online review. The drain system in one of our room doesn’t work well. 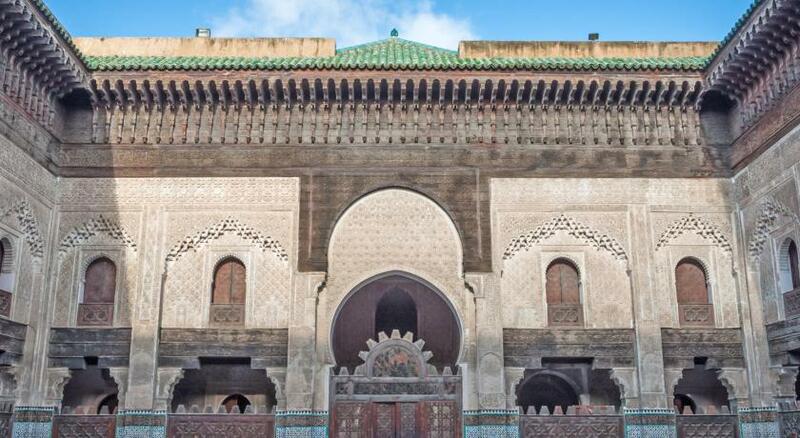 The Riad is in Medina. All the staff are kind, they help us to book a private tour. The guide is awesome and we learn a lot about the city.